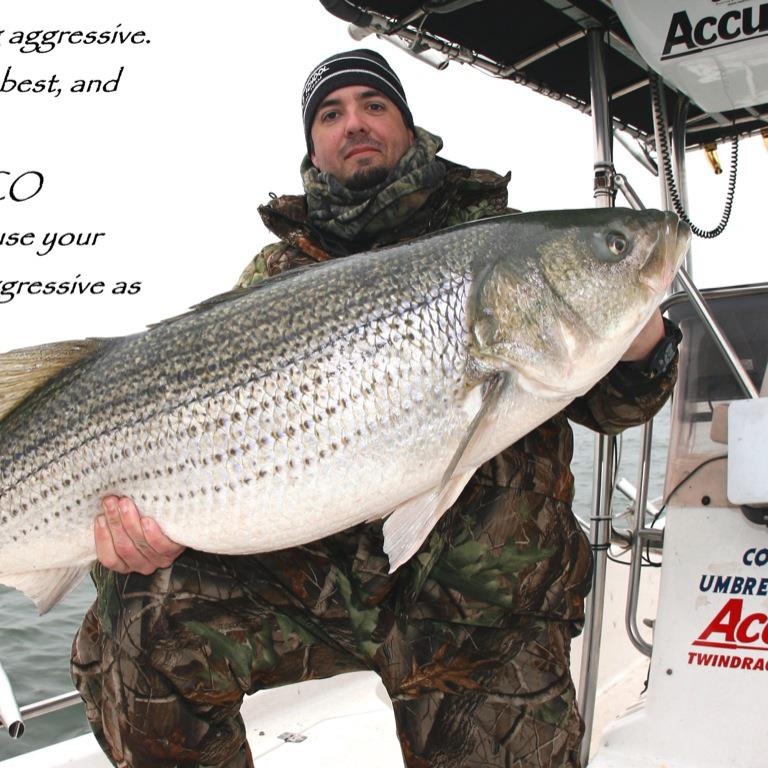 You won't believe how detailed this Insight Genesis fishing map is! Having fished Lake Gaston for years, Mike Smedley said thought he knew the North Carolina reservoir “like the back of my hand.” Then he saw the Insight Genesis custom contour map he made with sonar signals recorded with the GPS/chartplotter on his own boat. 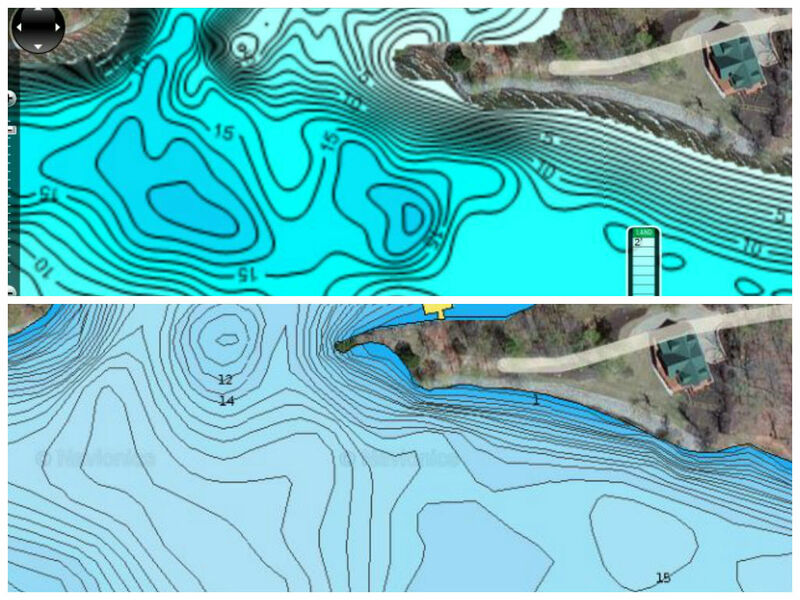 Mike Smedley, a Simrad pro-staffer and Old School Fishing Team member, shot a youtube video of the simple steps he took to create an amazingly accurate custom contour map of Lake Gaston with Insight Genesis. 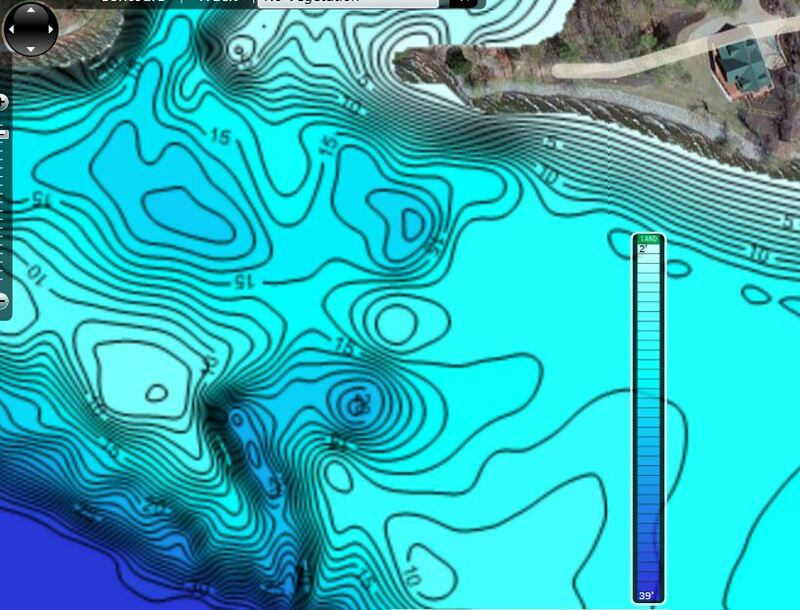 Smedley, a Simrad pro-staffer and Old School Fishing Team member, shot a youtube video of the simple steps he took to create his amazingly accurate custom contour map of Lake Gaston with Insight Genesis. An innovative cloud-based service, Insight Genesis offers huge advantages to anglers, cruisers and sailors that use Simrad, Lowrance and B&G GPS/sonar chartplotters on their vessels. “I find myself fishing parts of my lake that I wouldn’t fish before because I’m finding [things] I didn’t know existed,” Smedley says. Pointing a finger excitedly at the Insight Genesis map displaying on his Simrad NSS7 chartplotter, he pointed out a hump – an important piece of fish-holding structure – that he had never seen before on any other map. Nearby was a drop-off into deeper water. Near that was an even more intriguing piece of bottom structure. Users of Insight Genesis maps (top) say their custom contour charts provide much more bottom-structure detail than competing digital maps (bottom) of the exact same area. What do YOU think? Watch one-foot contours appear, as if by magic, as Mike Smedley loads his custom Insight Genesis map onto his Simrad sonar unit. Having fished Lake Gaston for years, Mike Smedley said thought he knew the North Carolina reservoir “like the back of my hand.” Then he saw the Insight Genesis custom contour map he made with sonar signals recorded with the chartplotter on his own boat. You can harness the power of Insight Genesis for yourself with a free account or a Premium subscription. With either, you can create, use and save unlimited custom and Social Map charts online; contribute sonar data; create, edit and store waypoints; manually adjust water-level offsets; and analyze weather trends. As a Premium subscriber, you can also create unique bottom-hardness and vegetation-location maps, and can choose to mark your maps as private for personal use only. No matter which option you choose, your trails, waypoints and other personal data are always kept private.